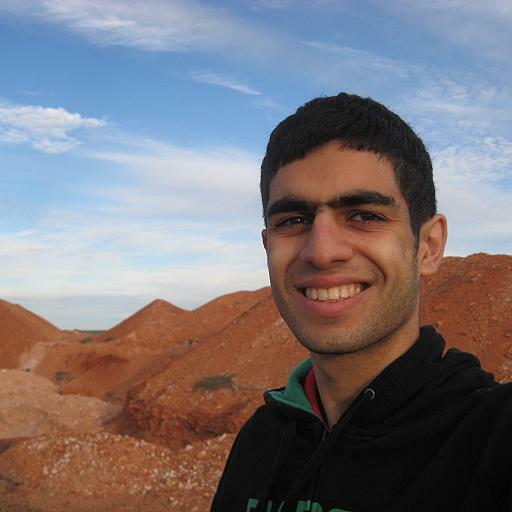 I am a writer studying a Bachelor of Arts Degree at Deakin University. I barrack for the Sydney Swans, New England Patriots, Melbourne Storm, Melbourne Rebels, Melbourne United, Melbourne Stars, Leicester City FC, and Melbourne Victory FC. I also enjoy playing tennis in my spare time while (unsuccessfully) attempting to replicate Roger Federer's brilliance. 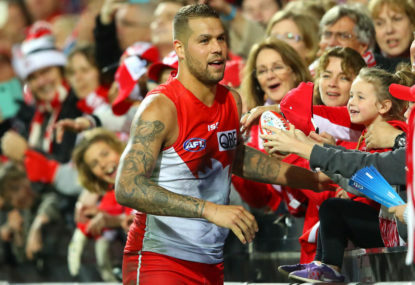 When the Demons defeated the Swans last night at the SCG to taste victory for the first time in 2019, it confirmed several theories I had brainstormed prior to the match. Wow! Who could have seen this coming? 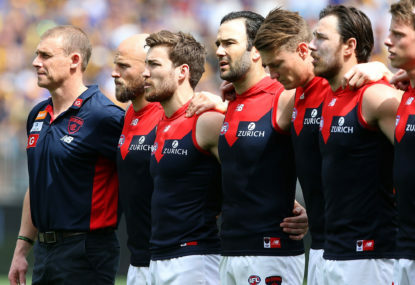 Can the Demons get enough Goodwins to Lever themselves into the finals? 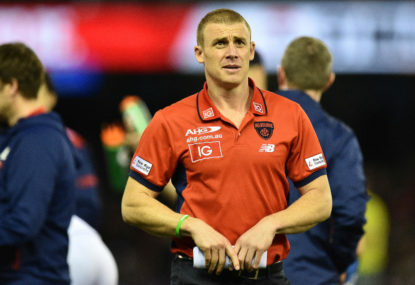 Not many people would have predicted that the Melbourne Football Club would be fifth on the ladder, having won eight games, by the end of Round 12 of the 2018 AFL season. The 2018 AFL season has been very unusual. Each round has had an unexpected result – such as Round 6, in which my team, Sydney, managed to upset Geelong at GMHBA Stadium by 17 points. Who can help the Gold Coast Suns rise? Can Stuart Dew it? 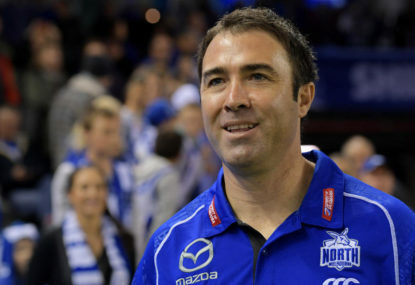 Stuart Dew has been appointed as the senior coach of the Gold Coast Suns. Just eight teams remain Only the best will progress Bring on the finals! Fair point, Dean, I can’t argue with that. Fair enough, Peter and Darren. 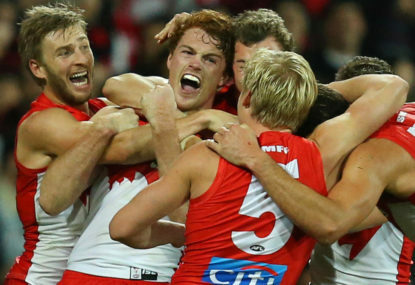 I just found it really statisfying when Sydney won the Grand Final Replay against Hawthorn in 2015. For me, that was one of the highlights of that season. I hope you’re right, Aligee. Is Sydney's Horse just a one-trick pony? Fair point, I personally enjoy the build-up to Grand Final Replays. I find it intriguing to see whether history repeats itself or whether the Runners-up gains a small measure of revenge. I would like to see a Grand Final Replay as well, Josh, or better yet, if the AFL brought back the Rivalry Round! Thanks for the call, Lachlan! It was quite a scrappy game to watch! I thought that the Bulldogs played better than the scoreboard suggests. However, they really have to improve their goal-kicking accuracy. Crows did well, considering their injury woes. I think De Minaur will have a successful career, but it’s going to be difficult for him to surpass Hewitt. For some reason, I think the Giants will bounce back this week. Can’t see Bulldogs winning tonight. You might not make top 4, but you’ll make the finals for sure. Eagles to win in a thriller. Good point, Ritesh, Del Potro always seems to trouble Federer at the US Open. The Bulldogs have had a horror run with injuries as well. I agree, you take the win and move on. It’s hard to get a read on Collingwood, but they should get the job done against the Saints. They’ll probably get a week. Hard to believe that Tomic won in straight sets the last time they played. Probably not a bad choice, I can see Lyon as a player that would lead by example. No big deal, Billy Slater can replace him. Western Force should win this. I agree, Collingwood should win against the Saints and the Dockers. However, I think they’ll lose to the Bulldogs.